The softtop of your convertible is a sensitive part of the vehichle and has to replaced every 10 or 15 years (depends on the quality). If the glass window is starting to fall out this will be the first sign that the convertible hood is warn out and has to be replaced. 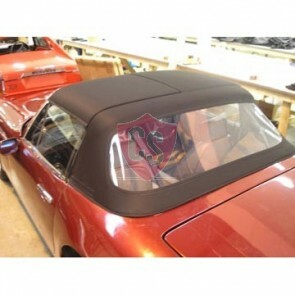 The convertible hoods from Cabrio Supply are all improved after market versions based on the original manufacturer top. The best fabric for a hood is made from mohair and will last approximately five years longer than a cheaper alternative of PVC. To maintain a hood for a convertible it is importand that the fabric is cleaned very often and impregnated every two years. 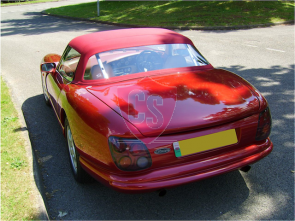 If you want to clean the soft top correctly you use a convertible roof cleaner and a brush so you don’t damage the fabric. Don’t use a high pressure cleaner because this will damage the roof even more. 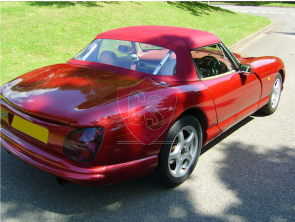 Why should you buy a convertible Soft Top at Cabrio Supply?